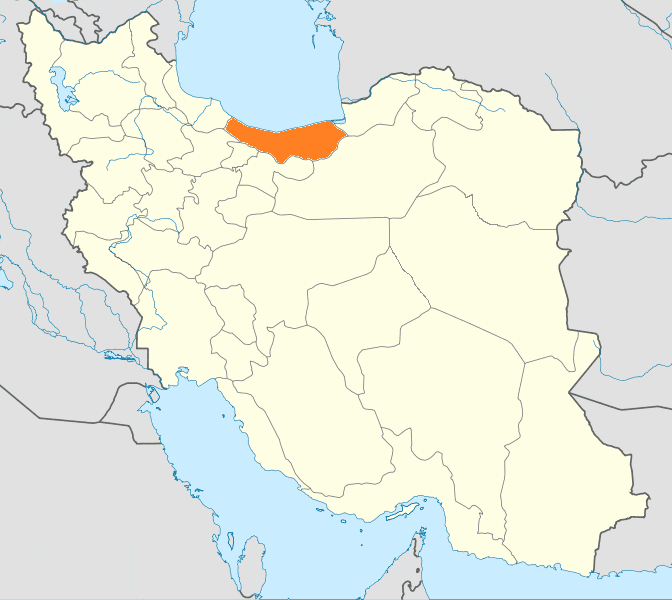 Golestān Province (Persian: استان گلستان‎‎, Ostān-e Golestān) is one of the 31 provinces of Iran, located in the north-east of the country south of the Caspian Sea. Its capital is Gorgan. The province was put as part of Region 1 upon the division of the provinces into 5 regions solely for coordination and development purposes on June 22, 2014. Majority of its population are Shia Muslims, and minority are Sunni Muslims. Golestān was split off from the province of Mazandaran in 1997. It has a population of 1.7 million (2011) and an area of 20,380 km². The province is divided into the following twelve counties (shahrestans): Aliabad County, Aqqala County, Azadshahr County, Bandar-e Gaz County, Gonbad-e Qabus County, Gorgan County, Kalaleh County, Kordkuy County, Maraveh Tappeh County, Minudasht County, Ramian County, and Torkaman County. Present-day Gorgan was called Esterabad until 1937. Golestan derives its name from a wider region known historically as Gorgān (گرگان), Middle Persian Gurgān, and Old Persian Varkāna ( in the Behistun Inscription) meaning "land of wolves". This is also the root of the Ancient Greek Υρκανία (Yrkania) and Latin Hyrcania. Wild wolves are still found in Golestan. Human settlements in this area date back to 10 000 BC. Evidence of the ancient city of Jorjan can still be seen near the current city of Gonbad-e Kavus. It was an important city of Persia located on the Silk Road. Apparently, the Mazandaranis who inhabit the foothills all the way to Shah Pasand were subsumed under the rubric "Persian" by this official statistics. The Persians and Mazandaranis are considered by nearly all inhabitants of the province to be "the old natives" while all others are considered ethnic immigrants in the past. The Turkmens reside in the north of the province, a plain called Turkmen Sahra. From the 15th century, these formerly nomadic people have lived in this area, the main cities of which are Gonbad-e Kavus and Bandar Torkaman. Turkmens are Muslim and follow the Hanafi school of Sunni interpretation. They are a sizable minority at cities such as Gorgan, Ali Abad, Kalaleh and many of eastern townships. Turkmens are totally Sunni in their makeup. 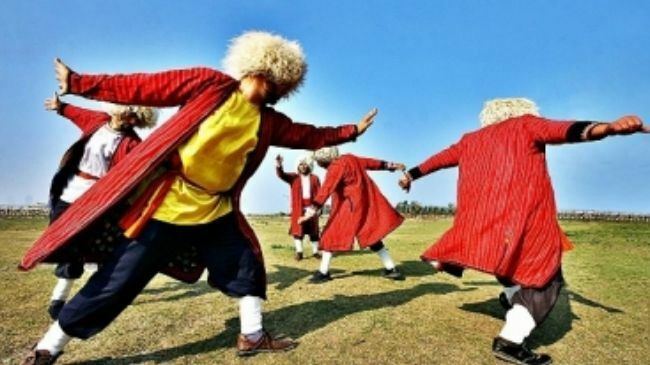 Turkic people (Azeri and Qizilbash) predate the Turkmen by centuries and have in time become completely Shia, and therefore, cultural and emotionally associate with the Persians and the Zabolis who too are Shia. The Zaboli and the Baluch are relatively of recent arrival, and date back to the early 20th century. 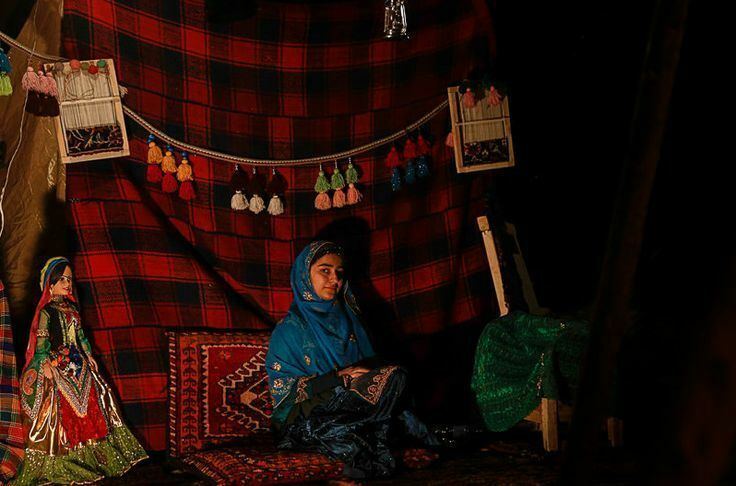 They are still arriving into the area in some numbers due to the lasting drought in their home areas of Sistan (the capital of which being Zabol) and Baluchistan. Other ethnic groups such as Qezelbashs, Kazakhs, Georgians, and Armenians also reside in this area, and have preserved their traditions and rituals. A small minority of Bahá'í Faith also live in Golestan (in Shahpassand). The world's tallest brick tower stands in this province. It is the famous Gonbad-e Qabus, built by a famous Amir of this region. 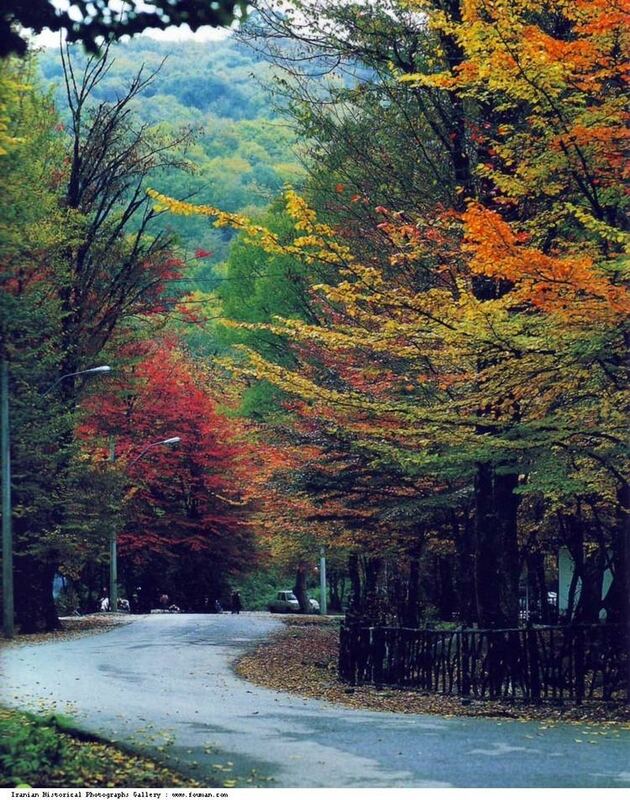 Golestan National Park in northern Iran is faced with the construction of a road through the forest, allegedly for the ease of traffic for villagers and woodmen but at the expense of losing the only national park in Iran throughout which a range of different climates (humid near the Caspian Sea and desert farther south) is spread. 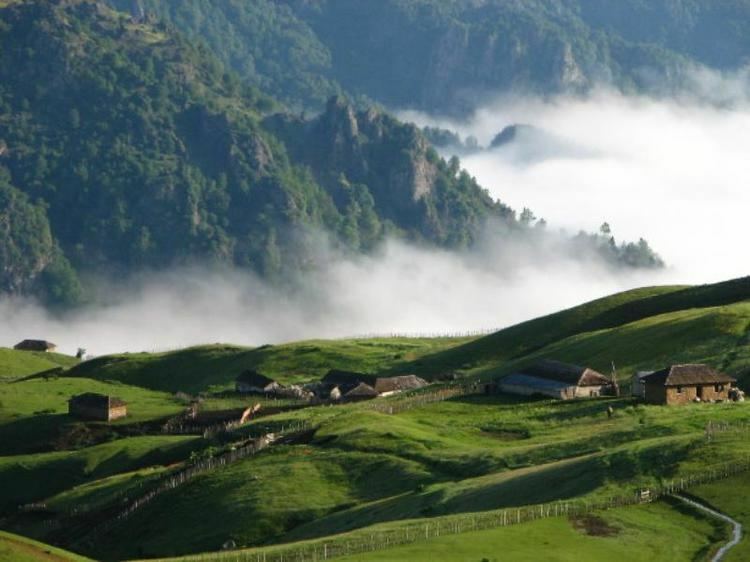 Golestān National Park is Iran's biggest national park which spans three provinces, Golestan, Mazandaran and North Khorasan. Surprisingly, the authorities ignore repeated calls by experts to construct such roads around, instead of through, the forests, which in this way would no longer threaten the animal and plant life.